Looking for ancient history books? 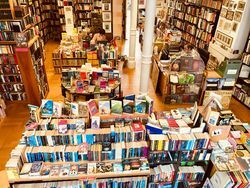 Biblio.co.nz hosts hundreds of of the finest online book stores and booksellers, including specialists in ancient history. Use the list below to locate a specific specialist bookseller or book store near you. Or, use the form below to search the inventory of all booksellers who specialize in ancient history. Arca specializes in literature pertaining to Ancient & Medieval History, Archaeology, and Numismatics. In addition to the internet and mail order, we also do business by appointment at our Toronto warehouse location as well as sitting several book fairs, coin and militaria shows. Rates listed do not cover shipments of oversize publications. We do not ship to destinations outside North America. 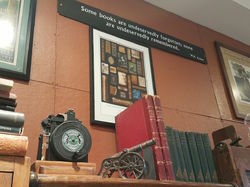 We buy and sell collectable, rare and scholarly books from every century of printing and at all price levels. We hold old and modern volumes on all the Humanities, with an antiquarian focus on Early Printing, Greek & Latin Classics, Medieval & Renaissance Europe, and British History & Topography.